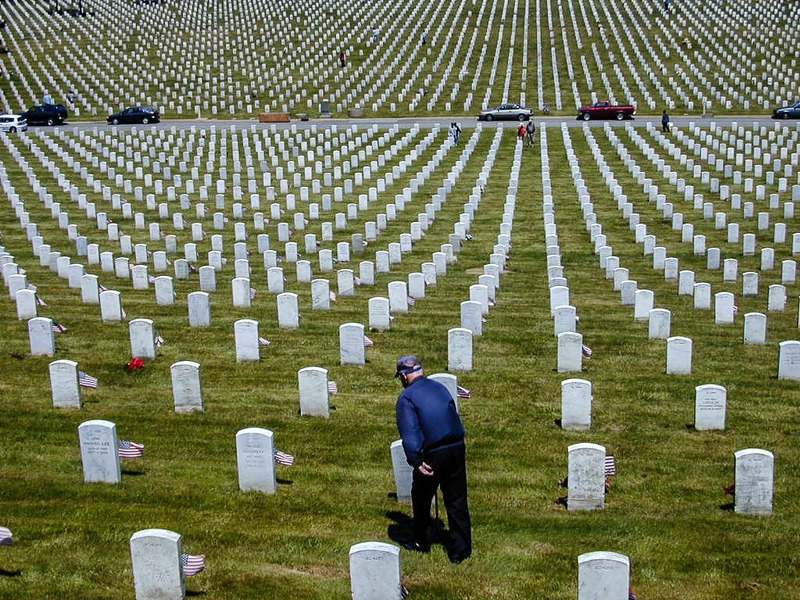 Memorial Day in the U.S. serves two purposes, and we should not lump one with the other. At its core, the holiday is a time to remember warriors who have died in military action. Most of us have at least one relative or friend who fought, died, and is now held dear on this day. If this remembering and holding dear were the extent of our observance, the day would serve us well. May our departed loved ones rest in peace. The second purpose of the day extends well beyond our need to remember. Consider the familiar rites: we conduct military parades and wave the national flag; we bestow honors on all who have ever worked in the military; we set aside bravery and heroism as military traits; we speak of our need for military force, and how we could not be free without it; we rally moral support for current military activities; and we pray for divine intervention on behalf of our warriors in the field. In short, we create a civil liturgy that beckons us to greater militarization. If we are not eager to spread militarism – with its attendant suffering, steep costs, environmental hazards, and challenges to the path of kindness – we can reconsider our role in this liturgy. We are permitted to separate the act of remembering our loved ones from the act of promoting militarism. We are not obliged to tie these two activities together. This Memorial Day, we can consider some alternatives. For example, instead of praying for divine intervention to aid our warriors, consider petitioning the heavenly powers to assist our diplomats. If our prayers for diplomatic results are successful, there will be no need for military supremacy. Instead of decorating the graves of warriors only, consider decorating the graves of all who have followed their consciences and given their lives to build a better world. By doing this, we set aside the myth that dying in the course of military action is a greater thing than dying in the course of diplomatic action, or community organizing, or parenting, or teaching, or providing social services. Sacrifice, commitment, and bravery arise in all walks of life. Instead of organizing military parades, which celebrate our power to threaten, coerce, and harm when faced with conflict, consider organizing parades which celebrate our diverse communities and our power to engage one another with openness, respect, and collaboration. If waving our national flag is a potent symbol of our vision and commitment, consider how our future might be if we waved our world flag instead. Instead of remembering only our unknown warriors, consider remembering all the unknown individuals who have been victims of war: the countless civilians, the countless innocents, the broken families, and all those who have suffered from the redirection of resources from social needs to weaponry. The tomb of the unknowns must have wide gates. Memorial Day is a public liturgy. Our allies, our adversaries and, most important, our children are watching. As we remember those who have died in military action, our challenge is to remain aware of the messages we send. In our heavily militarized world, the way we observe this holiday makes a difference. With every symbol, word, and action we choose, we either lend our support to greater militarization or we take a step toward demilitarization. Clark Hanjian - First published in the DMZ newsletter for Memorial Day 2014.